The B Charmer Journal: Read, Lady! I admit, this gal loves to read. Right now, my reading is sort of all over the place. I am reading lots of different news sites to feed my desire to understand the whole Benghazi issue. I am also reading all about homemade plant food recipes and natural bug repellents for them. I have been reading and designing some plans to provide privacy to my very public patio. I am reading about hanging lattice, screening, and all sorts of things related to this that will not hurt the precious rental. I am sort of obsessed with all the ways I can use lattice. I have even thought about painting and tacking some up on our master bedroom wall to serve sort of like a 3-D wall paper. But, that will most likely not happen. Lattice for pot hanging anyone? I read lots of dinosaur books. Lots of them. 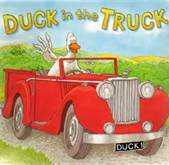 I am reading a vast array of bunny stories and the ever well-loved, Duck In The Truck. (I even have that one memorized) I read books about cars and trains, many stories on farm animals, and I am well-versed in all of the shapes and letters. I read about leaf collections and ninja fighters. Admittedly, I am being read to a great deal in these categories. My five year old can read like a pro. He read to me last night an entire story on fruit salad and special ingredients. He rarely missed a word. He follows punctuation beautifully, and he reads as though he has always done so. Can I say that I just cannot put a feeling on the emotions this brings? None-the-less we read and read. He reads, I read, and the baby reads in his personal language. The toys to pick up generally equals the amount of books to put away everyday. But then, it is evening. Everyone finds peace on their pillows. The house is quiet, and I can really read. My favorite thing I am re-reading, at the moment, is Cure for the Common Life, by Max Lucado. I read this originally at a very different time in my life. I was a newlywed with no children. I can barley remember those moments but, none-the-less they did exist. The book is still crammed full of notes from my first read as I was using it as a resource for my Sunday school class I was teaching at the time. It is nice to look back at those notes. I am glad I forgot to throw them away! This book emphasizes how very important it is to live life in your sweet spot. Not to just pass the days with all of the must do's to keep life going, but to really live out the gifts that God uniquely gave to only you. It is a simple read, but a quiet and strong challenge. The call is to not ignore our own personal mission of using our own talents to serve others, love others, and to use as an act of worship. There is no better gift we can give back to our Creator than to live our lives' using the very gifts He made sure to give us. We are not meant to be common. We are unique for a purpose. Read the book...good stuff! Do you read? I need some great summer reads to consider. Oddly enough, I reserve the summer months for fiction. Do you have any recommendations? I love many different genres. Bring on the ideas, this lady loves to read!